This article is part of a series produced for Baby Dove. To view other articles, click here. Caring for a newborn baby can be nerve-wracking. More often than not, you have to rely on your instincts. While there are available resources and research materials online, you can't be too sure. Take baby skin care, for instance. You may have been led to think that baby skin is naturally soft and smooth, and that it hardly needs moisturizing. But a closer look, a good amount of research, and some medical advice will show you how delicate baby skin actually is. Your baby's skin is his first line of defense against disease and infection. But compared to adult skin, it's 30% thinner and more prone to irritation. It can also lose water really fast—up to five times faster than adult skin, becoming more prone to dryness. This is why it's important to keep it clean, hydrated, and protected from damage. You can keep your baby's skin protected by thoroughly cleaning the diaper area every diaper change and by giving him a bath. Limit bath time to five to 10 minutes and use gentle baby products that are rich in moisturizing ingredients. Don't use soaps and shampoos made for adults—they may contain ingredients that are harsh for your baby's skin. 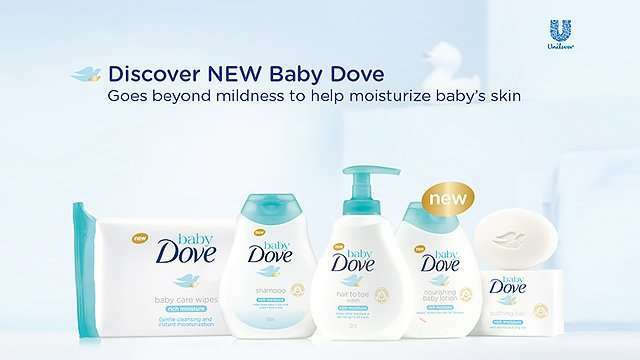 Stick to mild and moisturizing baby products like Baby Dove, which helps restore essential moisture from your baby's sensitive scalp to his toes. Baby Dove Hair to Toe Wash also contains 1/4 moisturizing cream, with a comforting scent formulated just for babies. The whole #BabyDovePH line is now available in the Philippines. Learn more about it here. This article was created by Summit StoryLabs in partnership with Baby Dove.